The black 8TB Rocpro 900e Desktop-Mobile Hard Drive from Rocstor features a recycled aluminum case that can be conveniently stacked or mounted vertically. 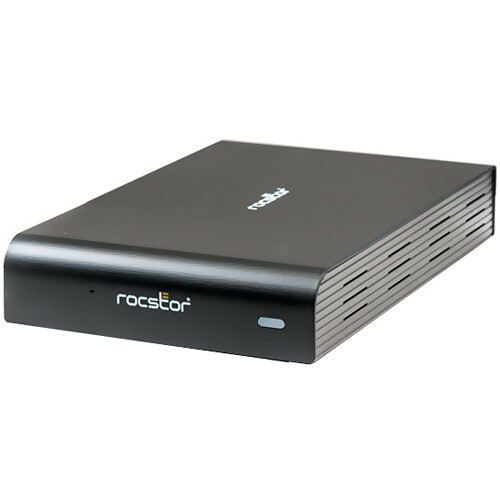 With its built-in power supply and fan-less and quiet operation, the Rocpro can be easily moved from one desktop environment to another using the included carrying case. The drive is compatible with both Windows and Macintosh environments and does not require any additional drives.